This was a wonderful class - view all the finished pieces here! 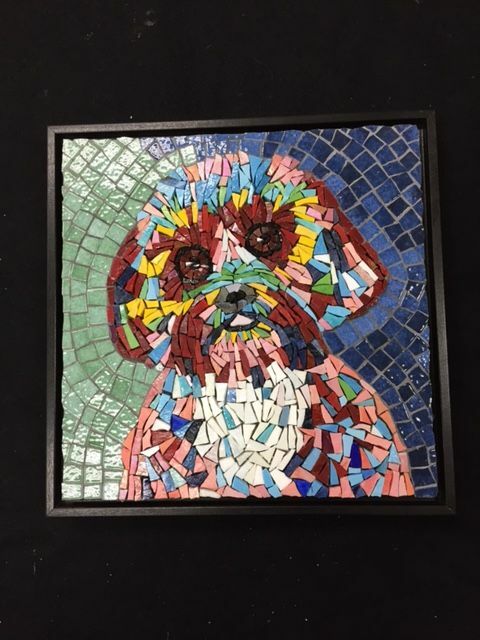 Cost: $325 plus a $50 material fee (total cost $375). Suitable for those with some mosaic experience and for more advanced students. 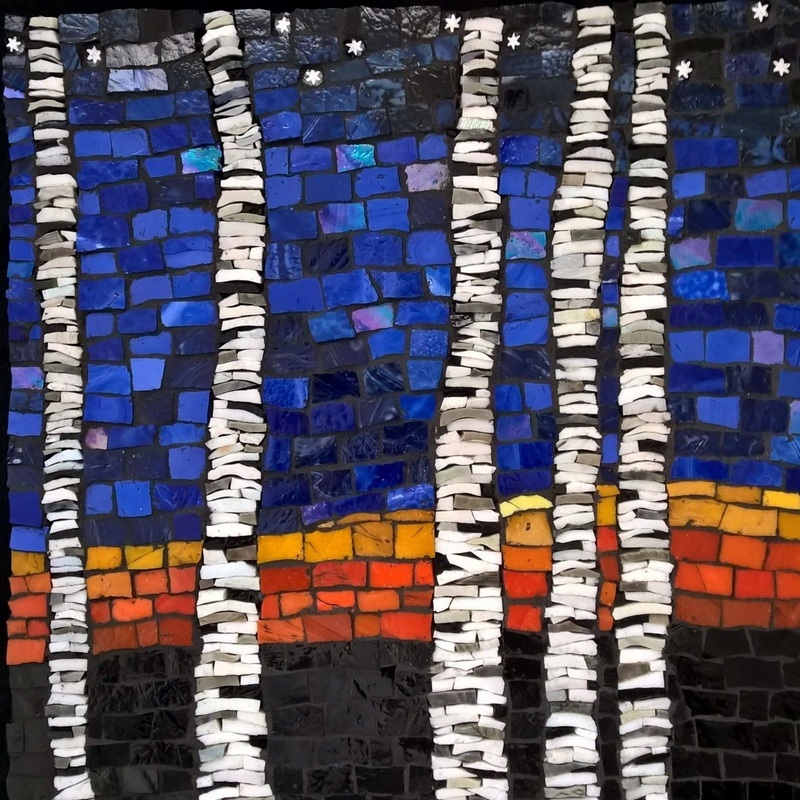 Lisa Houck along with Suzanne Owayda and Betsy Rodman of Mosaic Oasis, will co-teach a workshop at Mosaic Oasis in Arlington, MA on April 10, 11, and 12th. 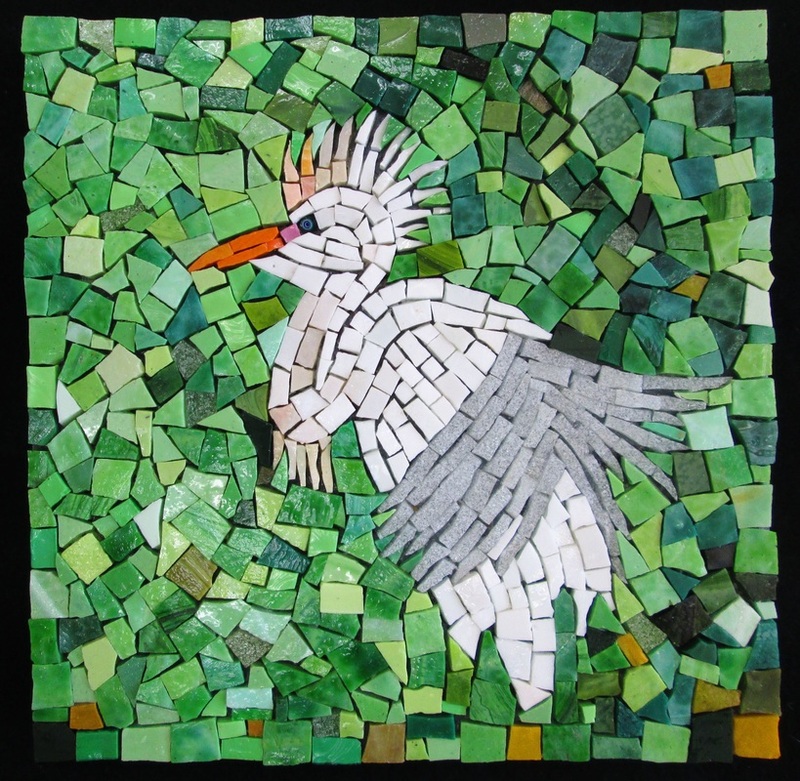 Lisa will bring her background as a painter and designer to work with students to develop and refine their own compositions and personal imagery in mosaics. 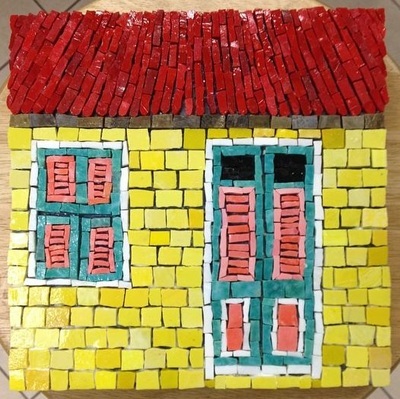 Suzanne and Betsy, co-owners of Mosaic Oasis will demonstrate a range of tools and techniques to develop an understanding of the possibilities in this unique and durable medium. 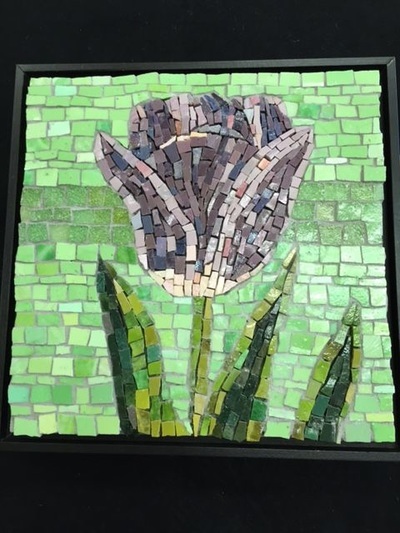 In this class we will work with Mexican smalti, a handmade glass known for its unusual variation in color and texture. 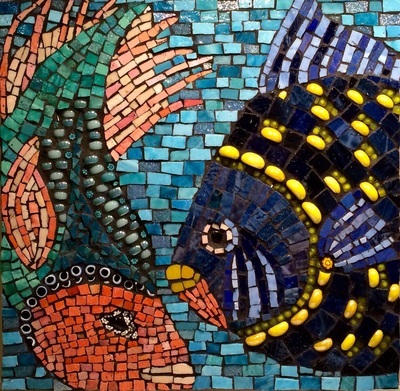 Lisa Houck works in Mexican smalti for her public art installations because it is touchable, durable and groutable. 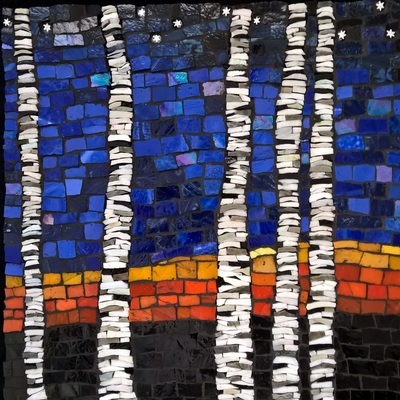 As a painter as well as a mosaic artist Lisa uses Mexican Smalti because it is painterly and subtle in its colors and texture. 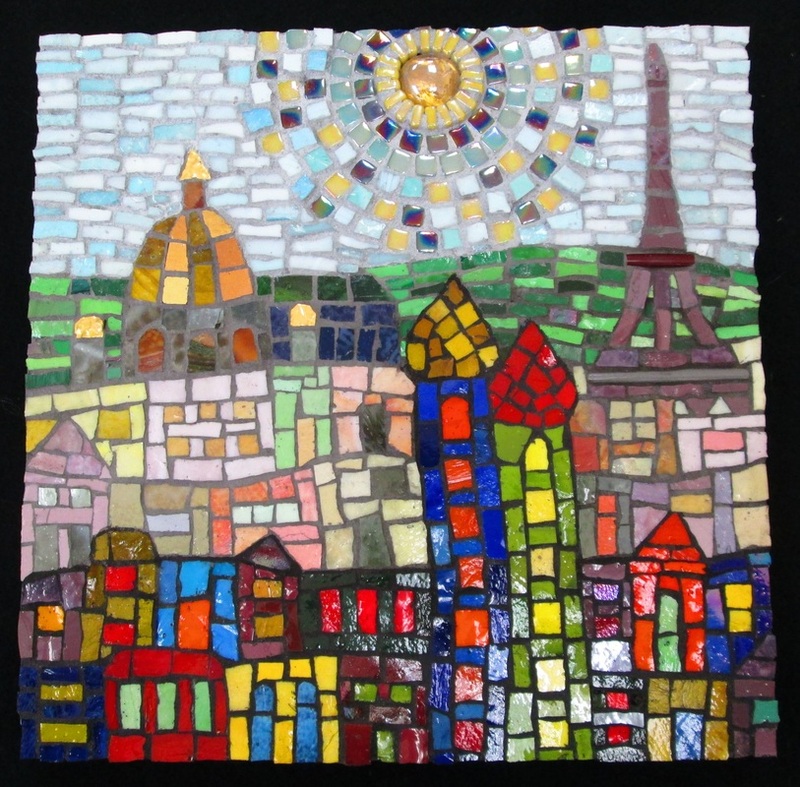 Course description: This course will provide an in-depth experience with mosaic design and fabrication. 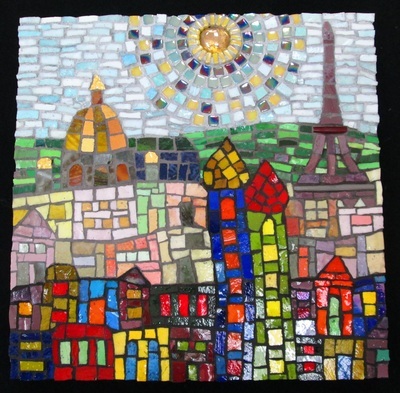 Each participant will design and create a 10” by 10” mosaic with traditional Mexican glass smalti. 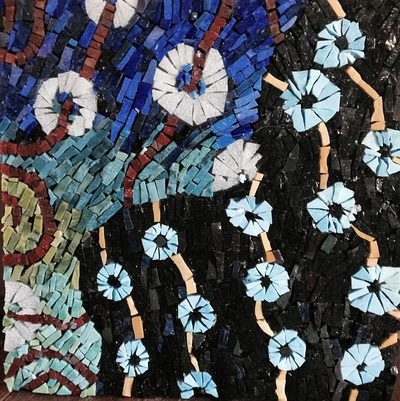 Students will gain experience with the unique design potential of this medium and learn more about its rich history. In addition the instructors will share their recent experiences in public and private art commissions for tile and mosaic projects.